Styled with knit slit skirt . Styled with allant pant . Styled with allant pant and knit slit skirt . Cue your cool fashion-girl moment. 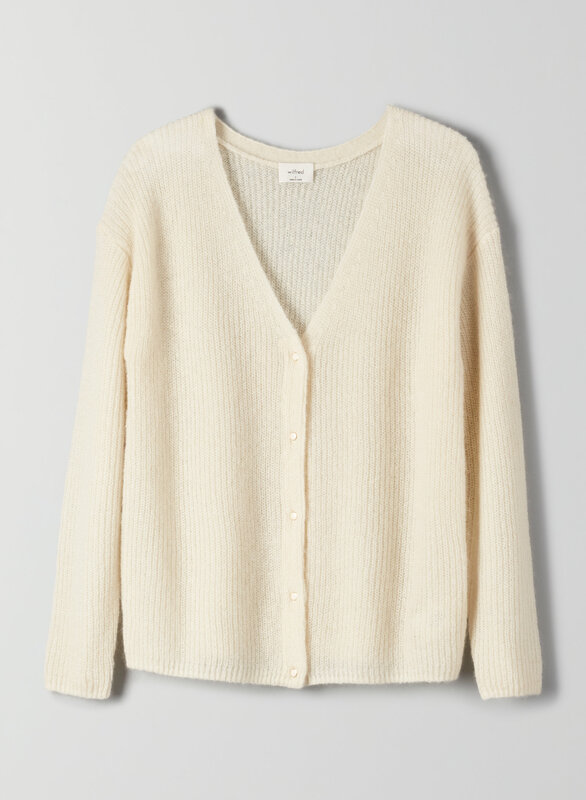 This is a classic, button-up cardigan that can be worn backwards. 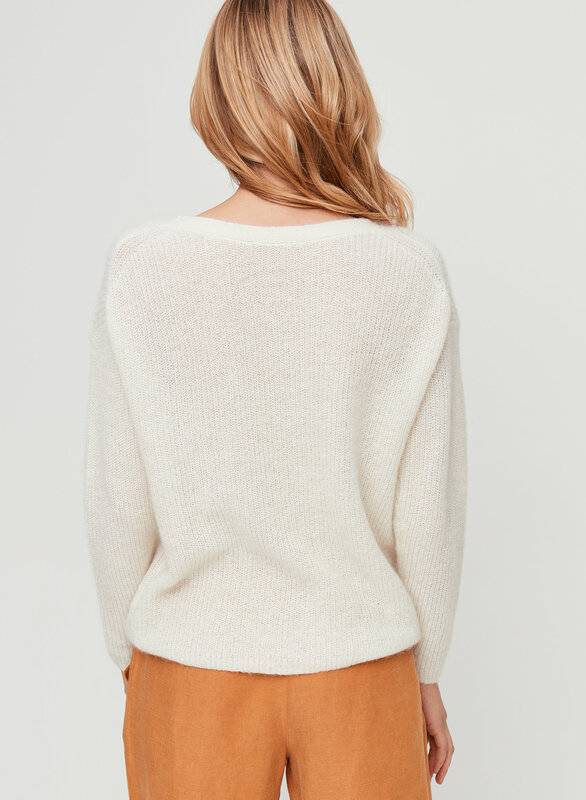 It's made from a textural, alpaca-blend fabric. Adorable buttons!!!! I got the grey colour and it fits extremely well and is only slightly itchy in comparison with other sweaters.... It looks great with high rise jeans. So soft, and amazing!! It is so soft, the wool, bothers me slightly, but its not horrible and I have really sensitive skin. I purchased the 'white' and was expecting it to be more white, but it was more of a cream colour then true white. The size is perfect, just that slightly oversized look I was wanting!! Great transition sweater. Perfect length to tuck or leave untucked. Not tight or bulky...will work with many looks. The perfect layer & cozy as ever. I am 5’6” 145lbs and small is slightly baggy.